Temperatures might be cooling down and the leaves turning colors as the fall season kicks off where you are which is all the more reason to still join us for some beach weather on the Crystal Coast! The beach is still a great option for vacation-goers to take advantage of, but we also have some other great outdoor options during a weekend or weeklong getaway. Might we recommend taking in some of Emerald Isle’s other outdoor activities like fishing, fall festivals, birding or trails? Haven’t booked your fall Emerald Isle getaway? There’s still time! Find last minute Outer Banks vacation deals to save between 10 and 25 percent off advertised rates or check out the regular availability of some our best last-minute vacation rentals, here! With the crowds on the beach lessening, now’s the best time to hit the surf for some offshore fishing. 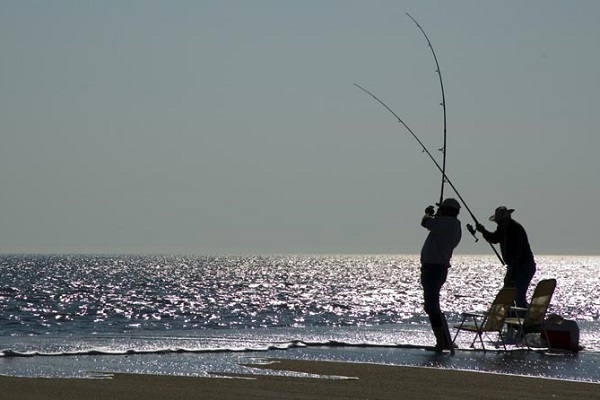 Anywhere in Emerald Isle makes for a great place to head out with your rod and reel, but we know of some of the best spots where you can get some of the best catches. Migratory patterns of fish and the temperature of the water go hand in hand with cooler temps bringing more fish like snapper, bluefish and king mackerels to the shore. Red drum, flounder, and grouper are also known to flourish more during the fall months. The Bogue Inlet Pier remains a great spot for taking in some fall fishing with easy access to offshore waters. The pier is known for its bountiful catches from wahoo to king mackerel, speckled trout, and red drum. Get there quick, though, as the pier will close at the end of November for the winter season. Another great area to try out is Hammocks Beach State Park. This unspoiled barrier island not only has some great catches, but it’s the perfect isolated area if you’re looking for some alone time with your fishing rod and water. The mild fall weather is known to bring down some northern folk to vacation in Emerald Isle, and some even have beaks and feathers. Birding season hits its peak in Crystal Coast with migratory birds taking a pit stop in the area while heading south for the winter. 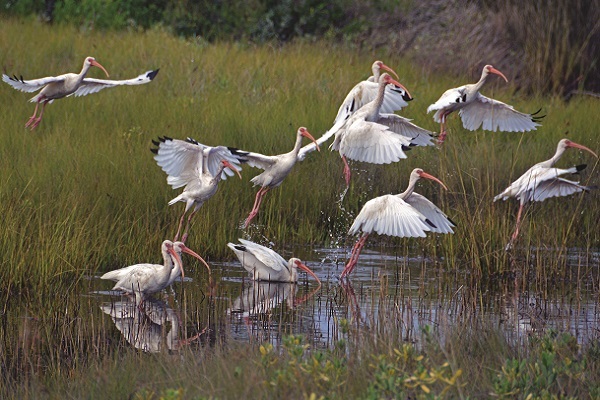 You’ll be able to see shorebirds like herons and brown pelican, but more exotic birds not native to the area like warblers, thrashers, woodpeckers, red knots, and dunlin will start to appear between late October and mid-November. The wooded areas in Emerald Isle like the Emerald Isle Woods is a great place to check out a variety of migratory birds while deeper inland in the Croatan National Forest, you’ll be able to see migratory and native species. For a more detailed list of birds that will make their ways through the area, check out the North Carolina Birding Trail. The golf courses in Emerald Isle combine some of the great vistas of North Carolina with professional-grade courses. Pack your best clubs and get ready to hit the green, relax and take in some of the best golf you’ll ever play. You’ll want to check out the Country Club of the Crystal Coast with 18 holes, a five-star clubhouse and plenty of water hazards to challenge you. It’s the only golf course on the island located in Pine Knoll Shores and is open from 7:30 a.m. to 6:30 p.m. 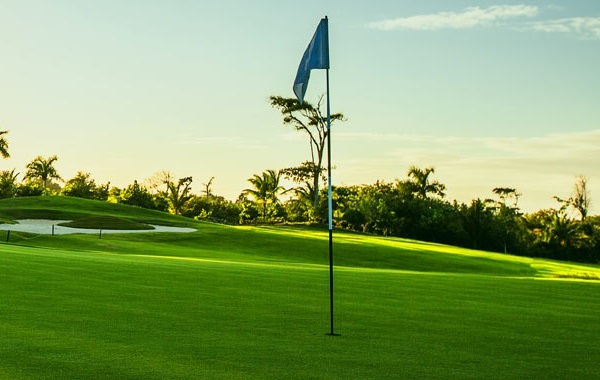 Check out our list of other golf courses in the area. With the leaves changing colors and wildlife migrating south, taking a hike through some of Emerald Isle’s trails will have some of the best sights to see. The Theodore Roosevelt Nature Trail spans more than 265 acres in Pine Knoll Shores and has beautiful views of the maritime forest while offering some of the best hiking trails that have barely been touched by man. The main nature trail is about 1.5 miles long and is perfect for a brisk walk or more interactive bird watching. More interested in biking? Rent a bike and check out two of Emerald Isle’s nature-filled bike trails that follow along Emerald Drive and Coast Guard Road. Fall festivals can be found anywhere, but they’re done a little differently in Emerald Isle with touch of coastal style and North Carolina hospitality. Emerald Isle also hosts a variety of events throughout fall and the rest of the year, so be sure to check our area events for your trip! 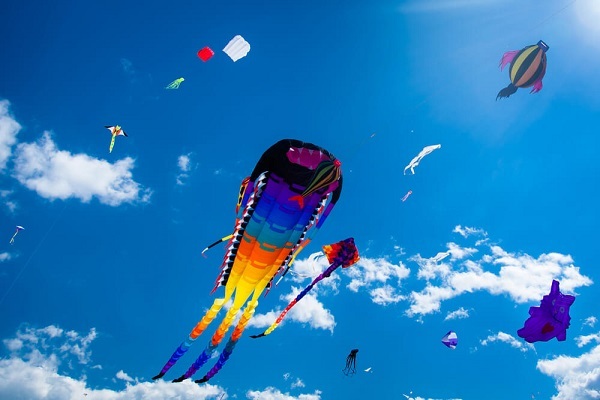 Towards the end of October, you’ll be able to attend the spectacular Carolina Kite Festival which features more than 100 kites soaring in the sky. Bring your own or watch the others during this free Crystal Coast tradition.  The annual Emerald Isle Halloween Carnival also takes place during the end of October and has festival favorite activities like cake walks, donut eating contests, and face painting. Check out our list of fall festivals happening in October !